The Amsterdam faction of labour party PvdA wants to ban holiday apartment rentals in the city. The ban would include Airbnb rentals, which have become a hot button issue for locals. Rentals for single rooms and Bed & Breakfasts would still be allowed under the terms of the proposal. The proposal was made in the election programme that was released this week ahead of the 2018 municipal elections. reducing the maximum rental limit from 60 nights per year down to 30. 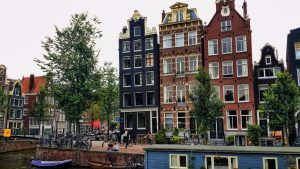 A study released earlier this year found half of Dutch Airbnb landlords ignore the regulations. “We spend a huge amount of money on enforcement of illegal rentals, but we can not get the nuisance under control. In the meantime vacation rentals mean higher house prices, without the city getting anything out of it,” PvdA faction leader Marjolein Moorman said to a local newspaper. The city does collect a tourist tax from Airbnb listings, which will rise to six percent in 2018. The tourist tax total is expected to raise nine million euros in revenue annually after the increase.